A couple weeks ago, Chrissy and I headed to JJ’s rents’ house in nj. We made some killer fish tacos and JJ spearheaded the guacamole. He did it almost all by himself. And he did good (said in jewish grandma voice). It was tasty. Cut avocados in the half. 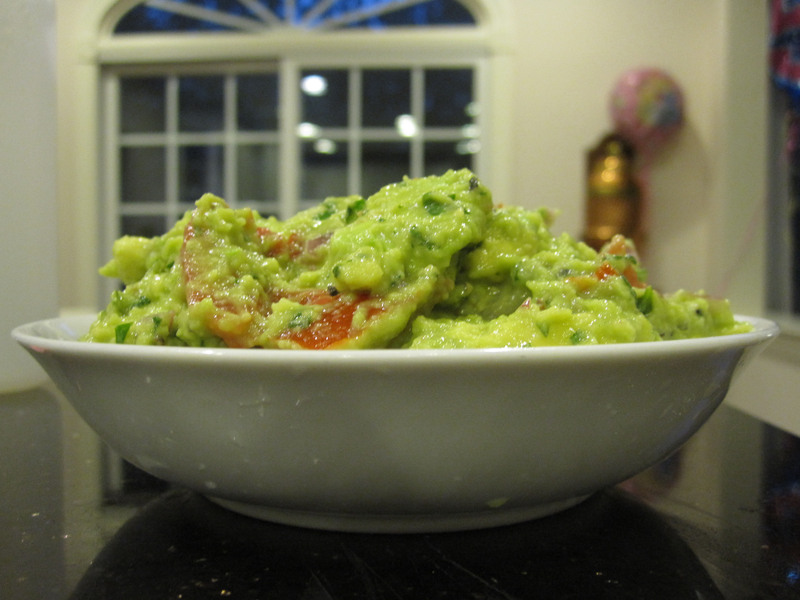 Make grid of slice marks on each half, turn inside out so chopped avocado falls into bowl. Add juice from lemon, garlic, salt, cilantro, onion, and pepper. Mix (don’t mix until smooth– just to combine) Add lime juice, additional salt and hot sauce to taste. Can add red pepper flakes too. Haha. And this was before the garlic mincing competition! Good job JJ – looks delish. This is the single most delicious dish ever prepared by anyone, ever, in the history of cooking. I enjoyed every savory bite.